Digital television broadcasting and digital video broadcasting are the most recent developments in consumer electronics. The standards developed by the MPEG and DVB European Project will be used at least in Europe, in Canada, Japan, South Africa, Latin America and USA. 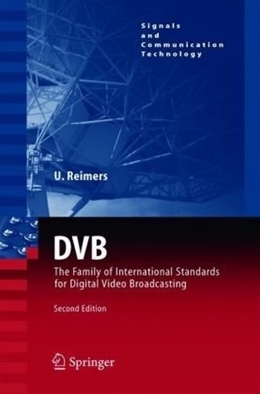 This book describes the DVB European standards, how it differs from the Grand Alliance proposal, and explains DVB concerned with modulation. Moreover, it gives an overview of modern digital transmission technology. Source coding, channel coding and digital modulation are described in detail with many illustrated examples of standard applications. This book is suitable for non-experts - e.g. with a background in analog transmission - and demonstrates the fascinating possibilities of digital technology. For the second edition, the complete text has been up-dated thoroughly. The latest DVB standards are included in three new sections on interactive television, data broadcasting and the multimedia home platform.